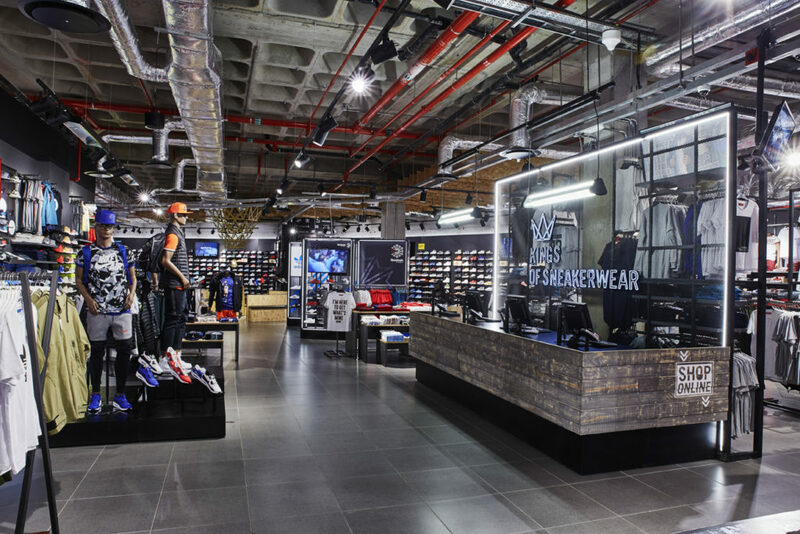 TDC&Co have been working together with Sportscene for the past 14 years, constantly evolving the brand and keeping the store design up to trend. 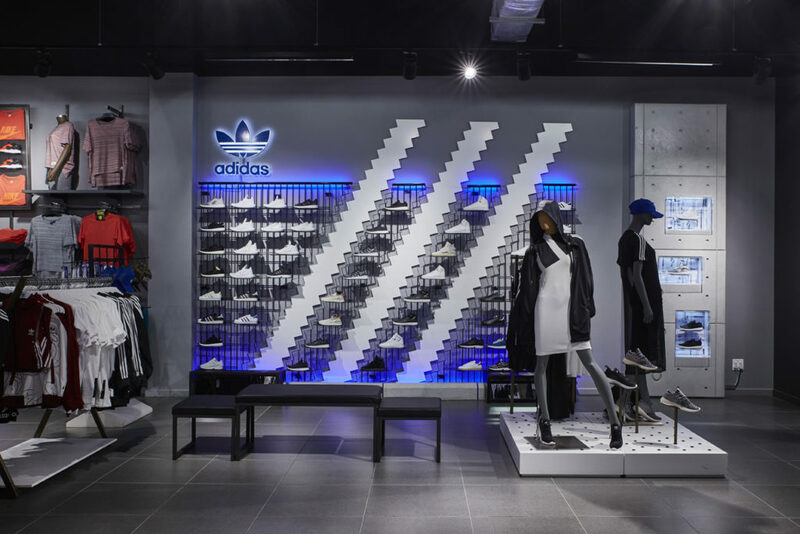 Taking the brand into the new age, but keeping its street feel, was first and foremost when the new concept was briefed into TDC&Co. 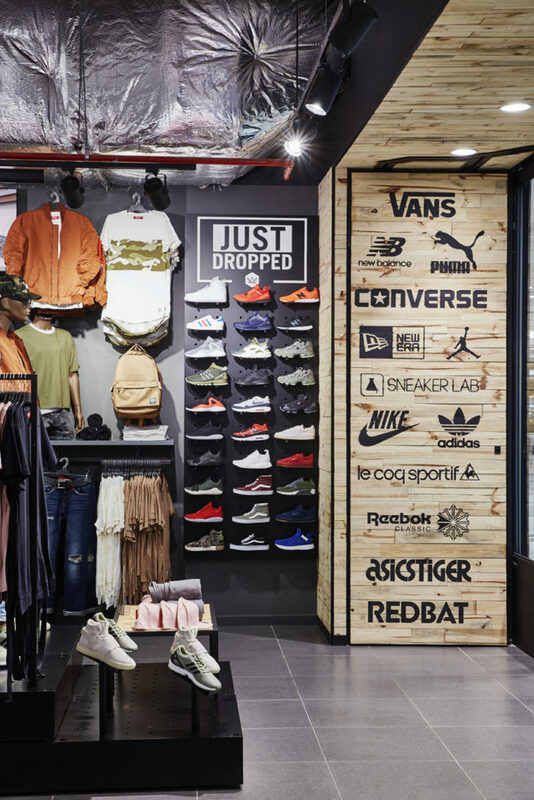 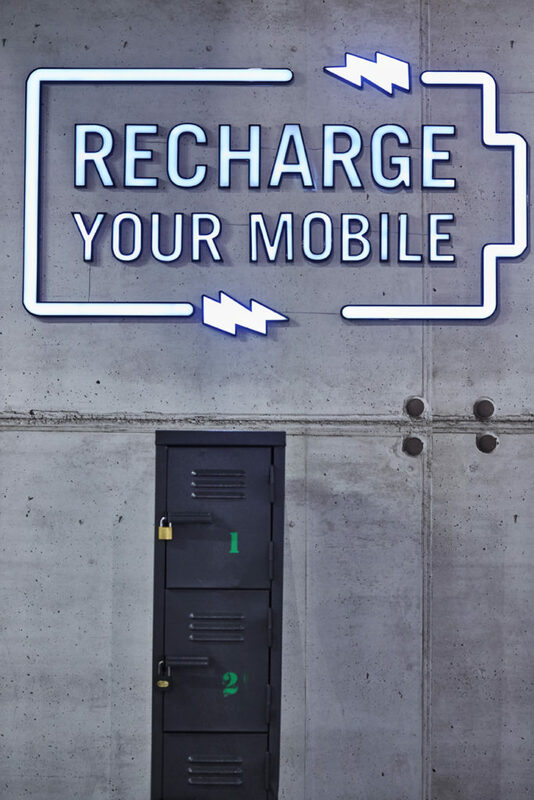 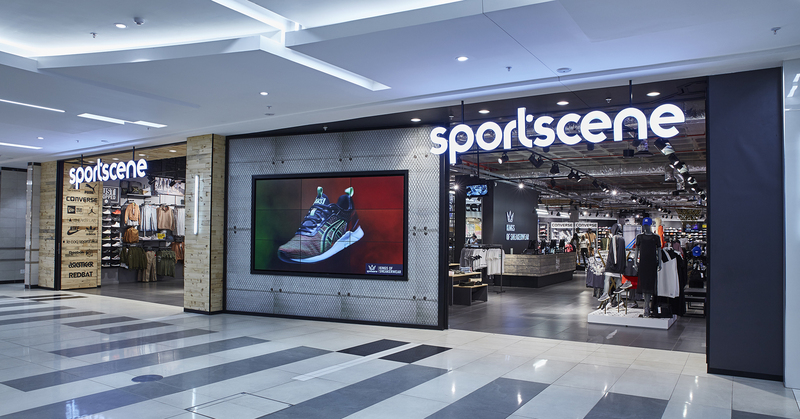 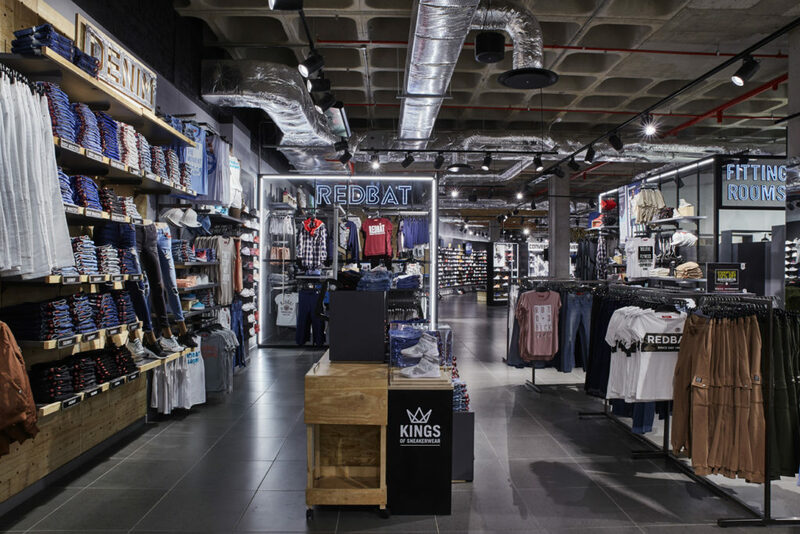 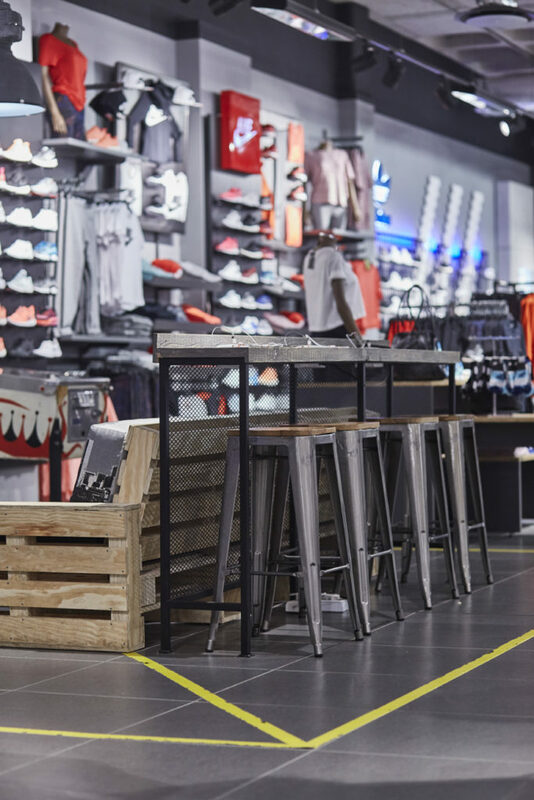 Introducing large media screens to show the latest trends in sneaker and streetwear, branded shop in shops and a chill area to kick back in are just some of the elements that make shopping in Sportscene’s latest flagship store in Menlyn Park, Pretoria an experience. 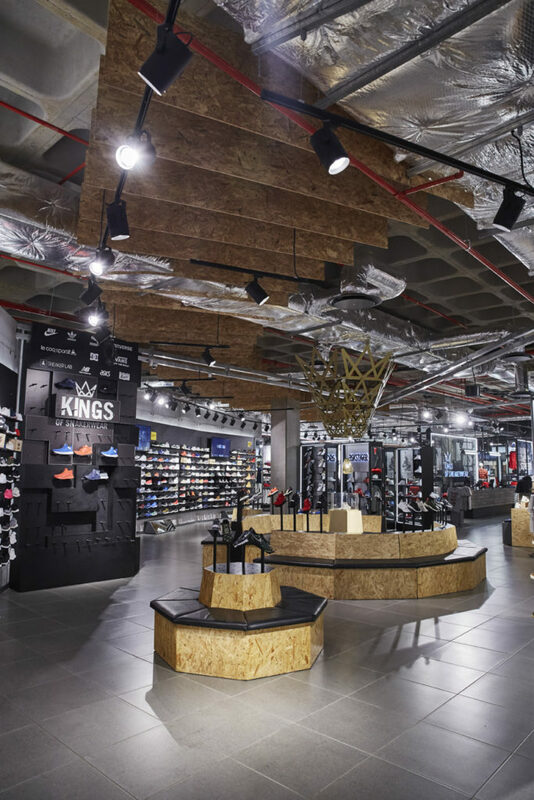 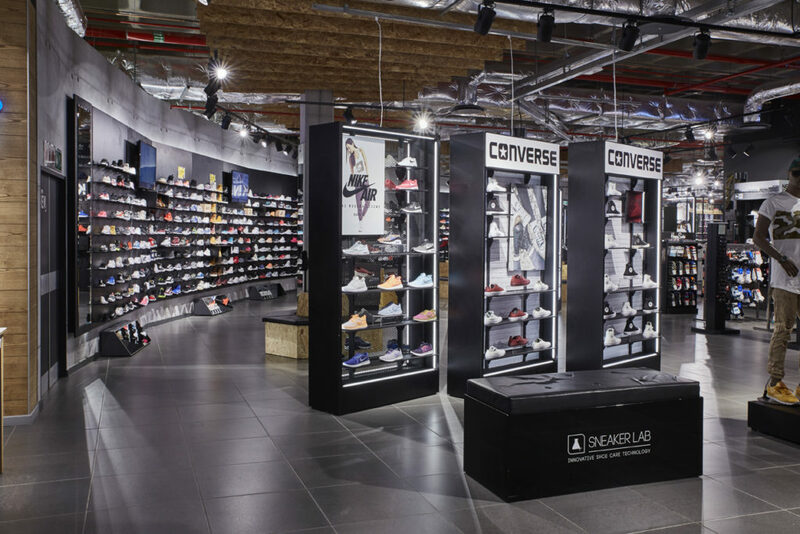 The Footwear area, with a 25m curved footwear wall, is the heart and soul of the 1111 sqm store. 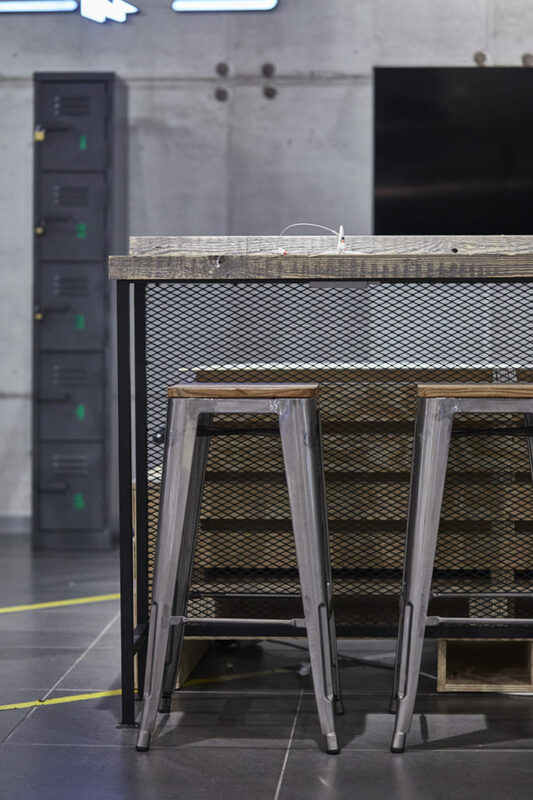 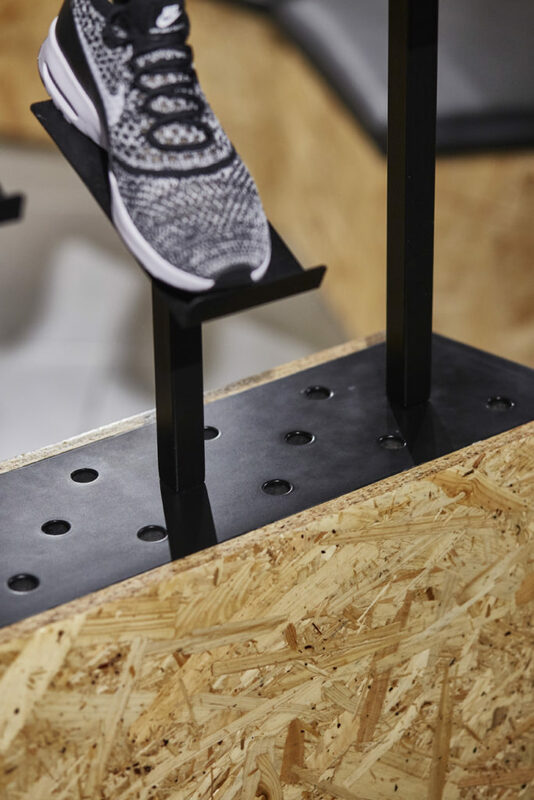 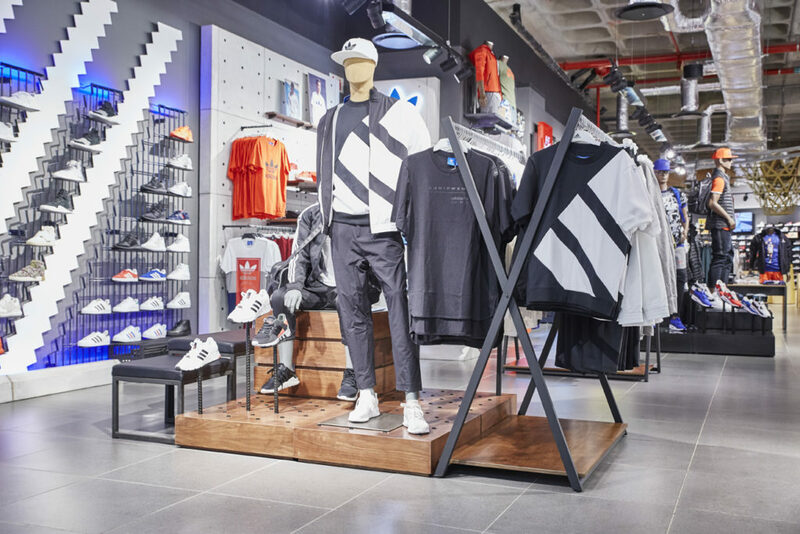 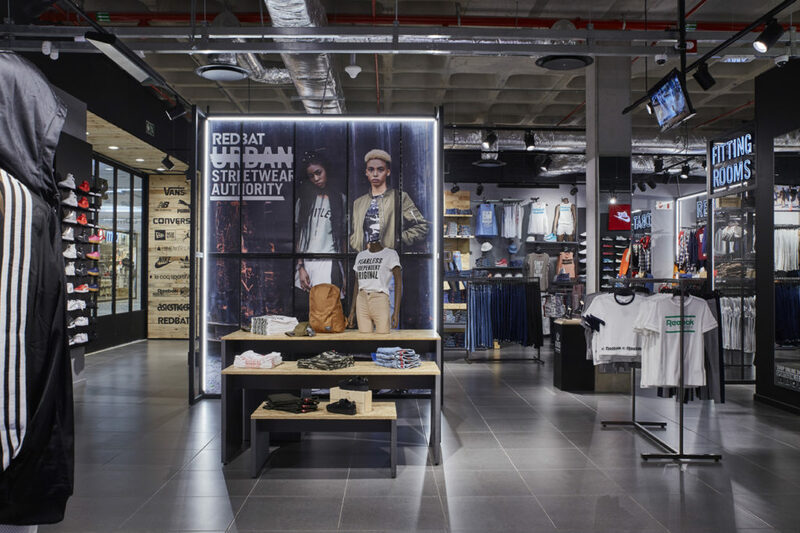 ‘Urban Skins’ is the latest concept we created for the respected ‘Kings of Sneakerwear’ and it’s all about the layering of different street-inspired finishes and textures such as concrete, reclaimed timber, metal mesh and neon lighting.